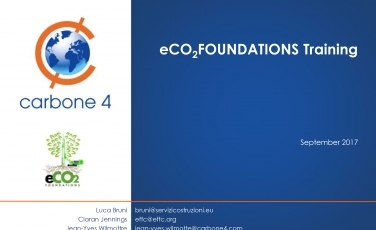 The eCO 2 Foundation National Champions met on 25th September in Paris, France, where Carbone 4 showcased a presentation which details the climate stakes if we fail to tackle the causes of climate change urgently. To view the presentation please click HERE. The EFFC have provided the presentation as a provenance to show insight into the scale of the challenge facing all countries. The eCO 2 Foundations National Champions are working to promote the use of the EFFC – DFI Carbon Calculator tool to help find lower carbon solutions to geotechnical projects. Please click HERE for further information on the EFFC – DFI Carbon Calculator tool.